Key West Real Estate Now! : Welcome! Let me introduce myself. Hello! 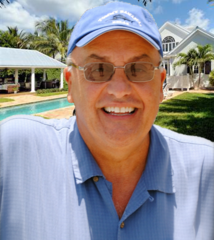 My name is Steve Schwartz and I've been a real estate broker in Key West since 2000. I used to be a traveling man, and it took Key West to make me settle somewhere this long. I spent more than 20 years visiting the Caribbean and Bahamian Islands, and this is the island I chose to call "home." So, I purchased my own "island casa" and established myself in the real estate business more than 13 years ago now. People are always asking me what made me choose Key West. That's easy. It's the people. The people of Key West are unique in their friendliness and in their generous commitment to their community. And that's not easy to find in this day and age. And, of course, there's the water! The crystal-clear, azure waters of the Florida Keys are what drew me like a magnet to this paradise island. As busy as I get, I still find time to enjoy the water! Boating and fishing are my two favorite ways to relax. But, let's face it, as a buyer or seller, you don't care about my relaxing time, you want to know about my commitment to my clients! Well, over the years, I've had more than 10,000 homes built and I presently enjoy record-breaking property sales in Key West. I put professionalism and diligence above all and I'll "work every day until it's sold!" The current mood of the real estate market in Key West has opportunities that have never been better for the astute BUYER. Tranquility and peace of mind cannot be bought. But my goal is to help you find that special place that will enhance the quality of life you seek. Let me help you find your perfect home in Key West! Call 305-304-1708 or email nexxthome@yahoo.com. 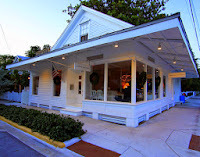 And don't forget to check out my new website where you can search the MLS for Key West homes by price, size or location.